Act 1, Mission 1: Surrender, Belisarius! 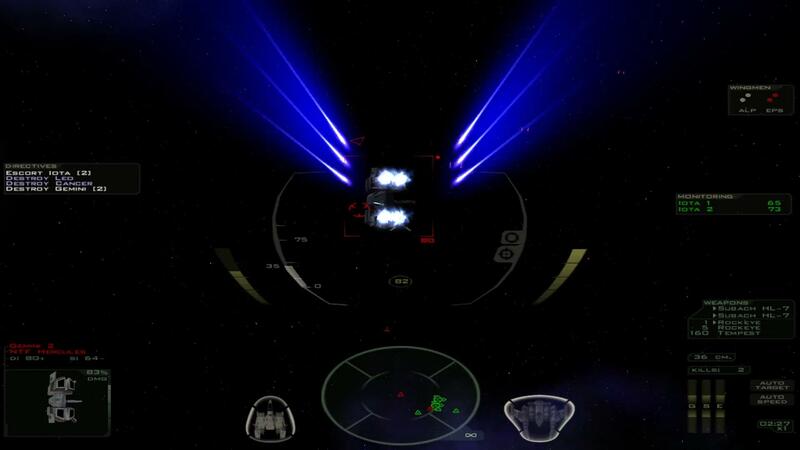 Ahh Freespace 2… One of my favourite games of all time. It has aged very well, IMHO. By chance I’m saving to buy a new Joystick only to play tris magnificent game. The game has many things that are not correct, like sound in space and non newtonian propulsion, but is as fun as hell!! Go on Brian!! I always assume “sound in space” is actually your cockpit computer providing audio feedback to enhance positional awareness. Since the alternative is stupid on several axes. Oh wow, thanks for that Senil. Been too long since there’s been a simple installer for this. Fifteen years… Wow. It doesnt seem like it was that long ago. I remember calling and ordering this when it first came out and waiting impatiently for it to arrive and then playing it until I passed out from not sleeping! LOL. Man what fun I had playing this game. I still have the game discs laying around and installed and replayed part of it until I built this new computer. Ill have to re install it and see about getting my saved games from the old computer to the new one so I dont have to start all over. No I dont have the GOG version. Ive been waiting on the next sale to pop up to grab it. I actually have both Freespace games on the discs. I never throw my old games away unless they are broken or the foil gets ruined somehow. Even if it wont play anymore. I keep them for the memories I guess. LOL. Is anyone playing the multiplayer somehow somewhere? Apparently there is some kinda multiplayer thing set up, but it’s fairly convoluted.